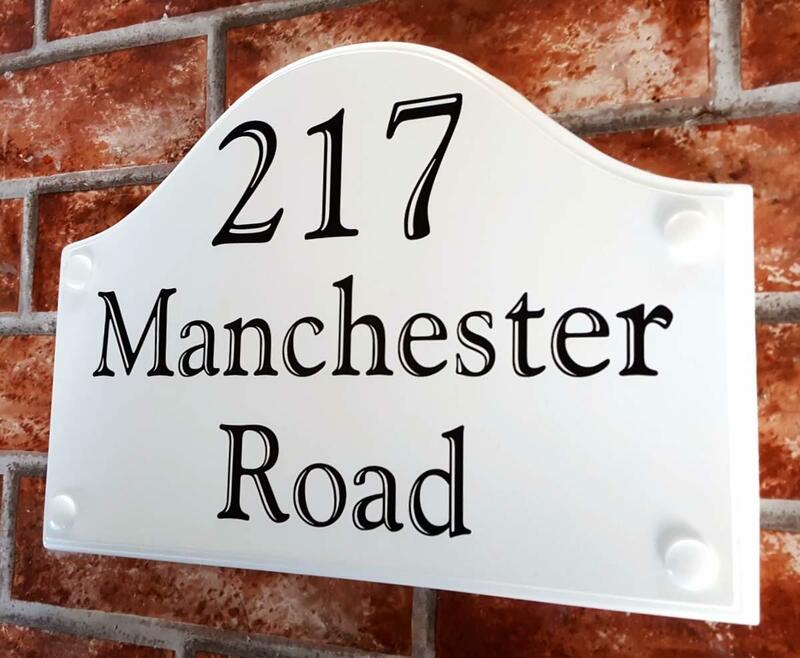 Bridge top house name and address plaques offering over 20 different fonts, 5 text print colours and various layout options to display your home address in a perfect traditional British style. The base plaques in this range are made of a solid casting of durable white cultured marble. They measure 295mm wide by 210mm tall by 11mm thick. The text is printed directly onto the sign with a UV resin ink printer. The prints are then coated with UV filtering lacquers to give the signs a ceramic look and feel. They are weatherproof and so are ideal as outdoor signs for homes. You can customize the plaque in many ways that will give you a very personalized house plaque your home visitors will admire. 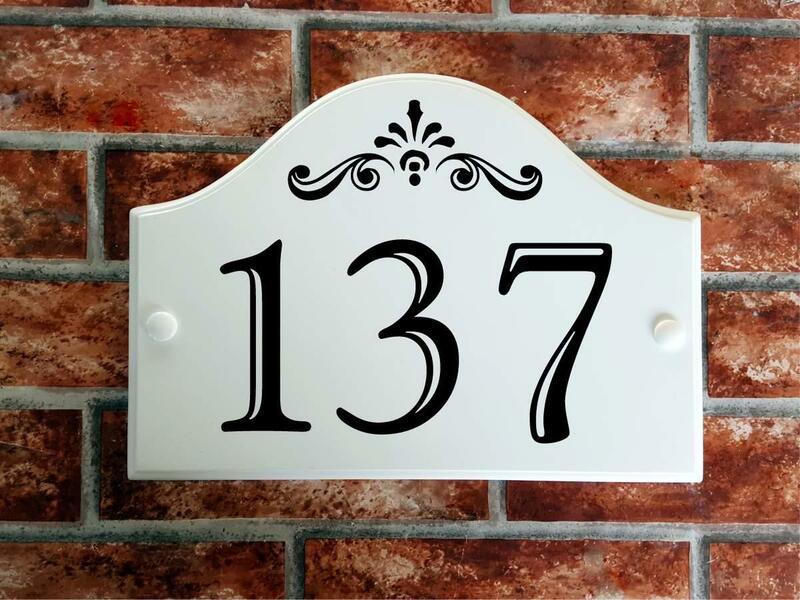 Not just for house names, it is also suitable for very large house numbers - the 137 example above with the decorative scroll has three house number digits 4.5 inches tall - larger than car number plate numbers which are only 3.5 inches tall. 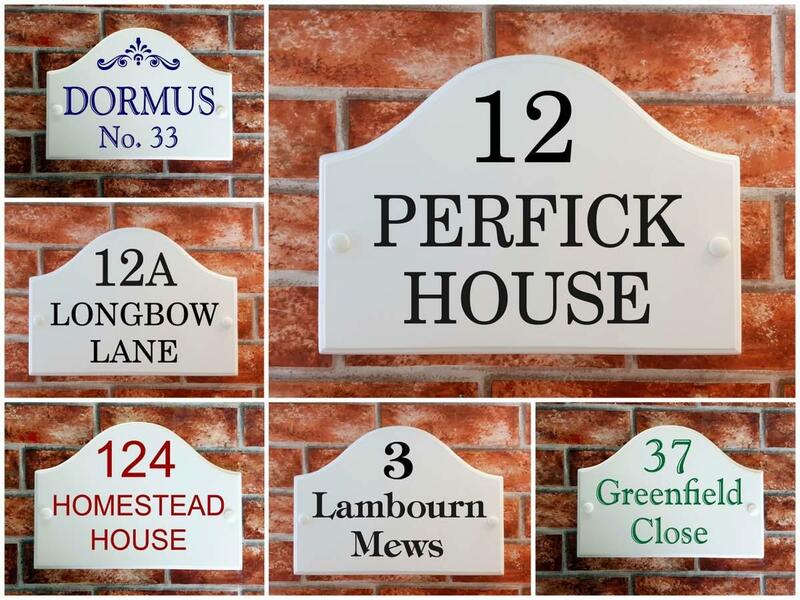 Once you place an order our house sign designers create a proof of your sign and send it by email for your approval. You can then OK the go ahead or ask for any alterations to the design and we send you an amended proof.